More unhappy Viacom shareholders are agitating for a governance revamp at the $16 billion U.S. media company. One investor filed a lawsuit on Tuesday alleging 92-year-old Chairman Sumner Redstone was improperly paid millions of dollars by Viacom and sister company CBS – as well as alleging he’s “physically and mentally incapacitated.” More surprising, perhaps, is a separate broadside from SpringOwl Asset Management’s Eric Jackson. He is urging, in a 99-page report published on Tuesday, that Viacom change its board and leadership as well as consider a tie-up with cable network AMC. His campaign seems quixotic: Redstone, after all, controls 80 percent of the voting stock. But Viacom is in a funk. The owner of cable networks MTV and Nickelodeon is vulnerable to shifting habits in how consumers watch TV. That includes ditching expensive cable subscriptions, a lucrative source of income for Viacom, in favor of streaming video services like Netflix or Hulu. Jackson’s answers for surmounting these hurdles feel dashed off: one of his suggestions is that Alibaba could take an investment in movie studio Paramount Pictures. But the broader thesis of having more independent board directors and installing new management holds merit. The company’s shares have fallen 40 percent over the past 12 months. They now trade at 7.2 times this year’s expected earnings, compared to 13.3 times at Time Warner, according to Thomson Reuters estimates. Jackson is not the first to take a swipe at Viacom’s corporate governance and structure. 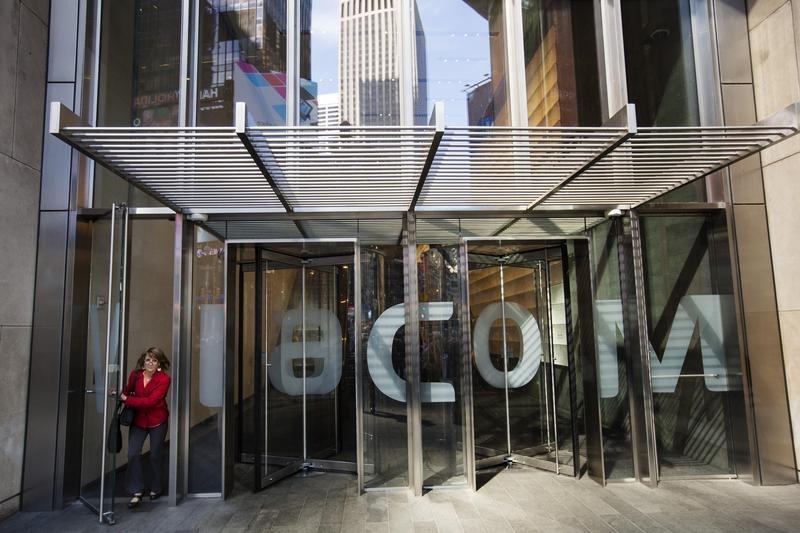 Earlier this month Missionary Oblates, a Roman Catholic congregation in Washington, pressed for all Viacom stakeholders to have a vote in the company’s upcoming annual shareholder meeting. Only Class A investors like Redstone have a say. Taken individually, these efforts may not amount to much considering the nonagenarian media mogul’s grip on special voting shares. Collectively, though, it’s a sign of growing unrest that may filter through to and perhaps sow discord among the seven trustees who will take charge of Redstone’s business interests after his death. Even modest changes now along the lines of what Jackson is proposing could pave the way for bigger moves down the road. Activist investor Eric Jackson of SpringOwl Asset Management is urging Viacom to change its board and leadership and consider broader structural changes, such as a tie-up with cable network AMC. He published his thesis on Jan. 19 in a 99-page report. Viacom is controlled by 92-year-old Sumner Redstone, who holds 80 percent of its voting stock through his vehicle, National Amusements. He is executive chairman Viacom and CBS.